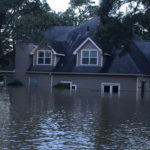 One week after Hurricane Harvey slammed into southeastern Texas, more than 30,000 people have been displaced, with critical infrastructure severely damaged – mostly due to the catastrophic flooding in the wake of the storm. The civil engineering community showed support for relief and recovery with financial donations. Hundreds of engineering firms from across the nation have graciously given. 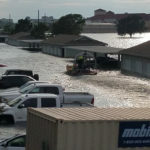 Among the larger donations, the engineering, construction, and project management firm Bechtel is giving $500,000 to the American Red Cross relief efforts and is matching donations of colleagues from around the world. 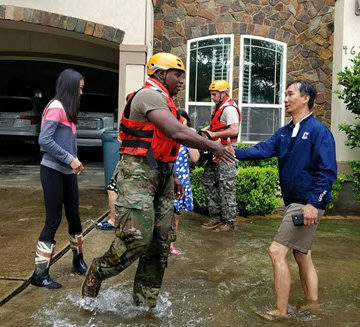 The Los Angeles–based global infrastructure firm AECOM has raised more than $140,000 through a GoFundMe page to help its Texas-based employees, with all donations matched by AECOM up to $100,000. Through its foundation, Fluor has donated $100,000 to the American Red Cross. The Offshore Technology Conference is the world’s largest gathering of the oil and gas sector, held annually in Houston with ASCE’s sponsorship since 1969. OTC organizers have donated $200,000 to the Salvation Army. 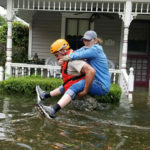 ASCE’s Houston Branch has pledged to donate $5,000 to relief efforts. “We are part of the civil engineering community and we play an important role in building the infrastructure and the community. 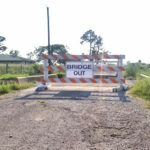 We felt it was the right thing to do at this time,” said President Patrick Beecher, P.E., M.ASCE. I am extremely grateful to Gareth J Young, P.E., M.ASCE, the Houston Branch President-Elect, and his wife and children for their efforts to ensure that more rural areas that have been heavily affected by this disaster received disaster relief supplies. The time and energy he dedicated to this goal provided MUCH needed supplies to eight communities in Hardin and Jefferson counties, including my hometown.